Watch the fastest show in town – hockey’s showpiece indoor event comes to Wembley Arena. The super sixes Finals take place at London’s Wembley Arena on Sunday 30th January 2011 where England’s top clubs will battle it out to be crowned super sixes Champions. 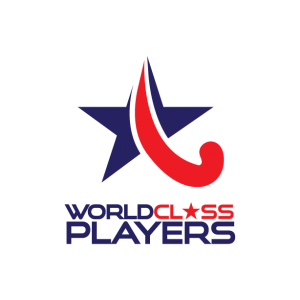 Hockey’s premier indoor event comes to London for one day only! Be there to witness the thrill, the passion, the breathtaking speed and the glory! See British Olympians play in the flesh, enjoy live entertainment, meet international hockey stars. Bring a picnic, bring your family and bring your friends! See four superb matches at super sixes Finals! First up the two men’s semi-finals, where they’ll compete for a place in The Men’s Championship Match later in the day. Hot on the heels of the semis comes the first of our grand finals – The Women’s Championship Final. Then breathe! Take in the entertainment, visit the stores, grab a bite and prepare yourself for the last match of the day – The Men’s Championship Final. Doors open at 11am. First match at noon with the Men’s Champions crowned just before 6pm. With tickets purchased before the day priced at just £15 for adults and £5 for under 18s, super sixes Finals is a fun, affordable day out! What’s more, why not take advantage of our super six discount. Buy 6 tickets and get the cheapest absolutely free (only available by calling 0844 815 0815). *Club bookings can be made by calling EHB on 01628 897500. Tickets can be purchased using credit / debit card. Offer closes 17th December. Tickets will be sent out after Christmas.